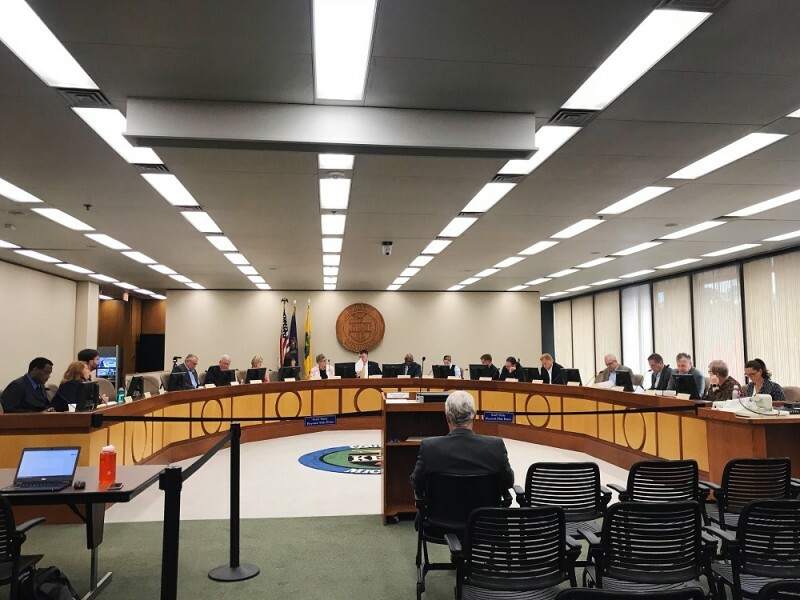 The Kent County Board of Commissioners held its monthly meeting today, Thursday, September 27, 2018 without anyone from the public in the room. Residents who come for public comment were instructed to sit in a room next door and watch the meeting on closed circuit tv. 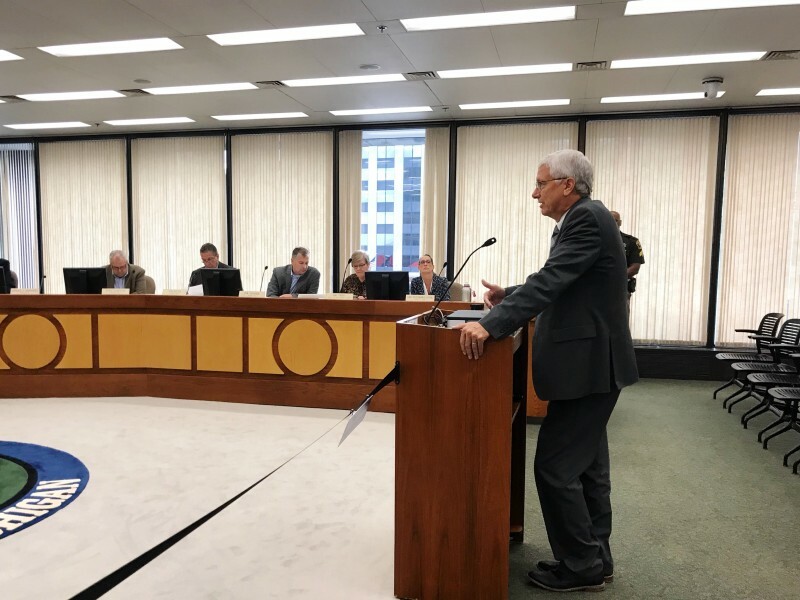 The Kent County Board of Commissioners held its monthly meeting today, Thursday, September 27, 2018 without anyone from the public in the room. Residents who came for public comment were instructed to sit in a room next door and watch the meeting on closed circuit TV. 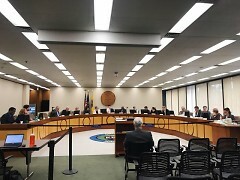 Chair of the Board of Commissioners Jim Saalfeld began the meeting stating, “Fundamental purpose of the Open Meetings Act is to extend to the public the opportunity to observe public business and address public bodies but it does not give the general public the right to participate in the body’s deliberations or disrupt the meeting. You’re obviously aware of the past disruptions we’ve had, dating back to June so staff and I have worked hard to find least restrictive arrangement to allow the public to observe as required by the Open Meetings Act without disruption of the board meeting. The general public may observe from the adject room 311 from a live audio/video feed." 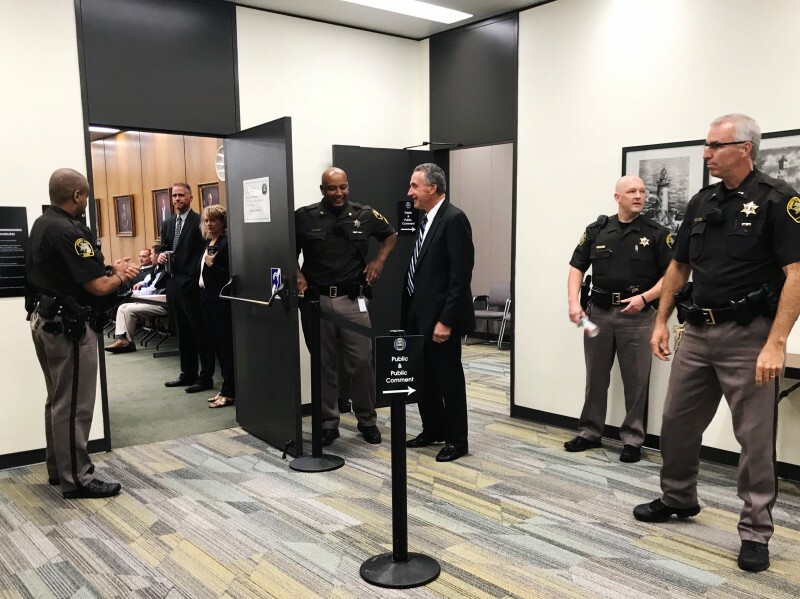 Saalfeld then went on to explain that any member of the public that wished to address the board would need to fill out a card and get the card to county staff who would bring the card from room 311 and then bring the card to himself. Public commenters would be invited into the chambers one at a time and have the three minute time frame for their comments, after which they would be asked to return to the public viewing room before the next commenter came in. The room sat in silence as all present waited for a Kent county staff member to go to the public viewing room, get a comment card and carry it all the way back to the board and then return to bring the commenter to the podium. The first and only person to speak during the first public comment time was August Treu, who is currently running to be a Kent County Commissioner from District 11. “Thank you for making me feel like a criminal. Feels like a police state. This is great that we have the officers protecting us, but closing this meeting off, I just can’t believe it,” Treu said. 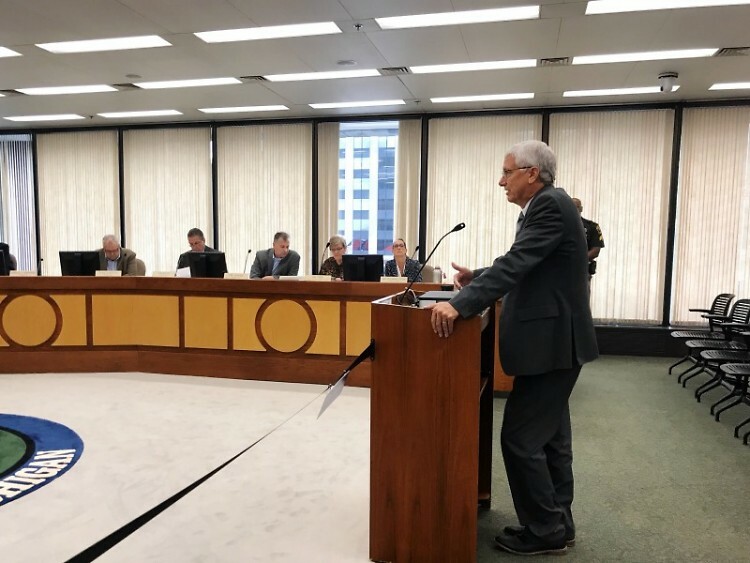 He then left the podium in frustration, and said, "Thank you for the public comment,” on his way out of the board chambers. Throughout the meeting Commissioner Talen sat in the public seating area, not on the dias with his fellow commissioners. At the end of the commission meeting, Saalfeld reiterated his comments from earlier and said, “We have had disruption since June. We’ve tried to work through that disruption. We’ve had suspended meetings, we’ve actually moved our meetings. There’s not a lot of options left. I’m trying to balance a lot of things here. I’m trying to avoid arrests. I don’t want to see people get arrested. Commissioner Hennessy, you talked about dissent. Dissent is fine, disruption is the problem." The meeting can be viewed on the Kent County's Youtube here.